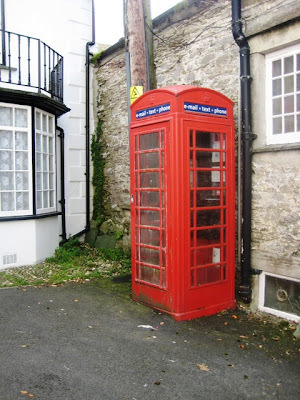 Wissy's blogspot: Wordless Wednesday ~ " English Telephone Box". Wordless Wednesday ~ " English Telephone Box". I didn't even know these still existed! I haven't seen one in years. They're wonderful. It is good to see a red telephone box that hasn't been vandalised! RNSANE, Red BT telephone boxes are a common sight in London, there are loads of them. There are still seemingly 12,500 of them in the UK still in use. BT are in the process of turning some into ATM's. I just love this! I have always thought English telephone boxes were so quaint, cute, and signature. Lovely! Oh, I love those! I love English telephone boxes and double decker buses and thatched cottages. Well, the cottages sound like they would be cold in the winter but they're so charming. I've got to visit English someday . . . sigh. A symbol of something's going to disappear. Best wishes and Seasons Greetings from a new follower. P.S. I invite You to visit me and leave all comments You want. Polperro and Looe - Part 2. Wordless Wednesday ~ "The Haven". Wordless Wednesday ~ "Sleeping Giant".